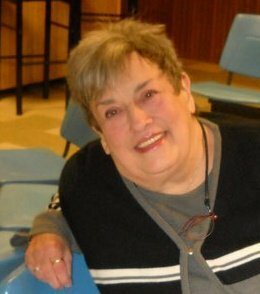 Sandra Sue Swinehart passed away peacefully March 15, 2016 comforted and surrounded by her loving family at the Community Hospice House of New Philadelphia, Ohio at the age of 72. She was born May 10, 1943 in Newark, Ohio, the second child and daughter of Ruth and Alexander McCaig. Sandy graduated from Newark High School in 1961. She was a foster parent in Tuscarawas, Ohio. Her ambition was to be a nurse. Sandy was the “Mom” to everyone who was around her. She loved the holidays and her grandchildren were her life. Sandy will be missed by Robert McCaig (Shirley), Ashlee Sappington (Shannon), Bill Swinehart (Michael), and grandchildren, Billy, Korrall, Walker, Phoenix, and Syren. In keeping with her wishes, no public services are planned. The family welcomes this time for happy memories. Sandy will be missed by many, and remembered by all those who met her. Condolences and special memories can be shared online at www.heritagecremationsociety.com. Sorry to hear of Sandy’s passing. I’m so glad we were able to visit some at her high school reunion in 2011. Sandy and I had some good times in high school. Always remember her laugh and bubbly personality.